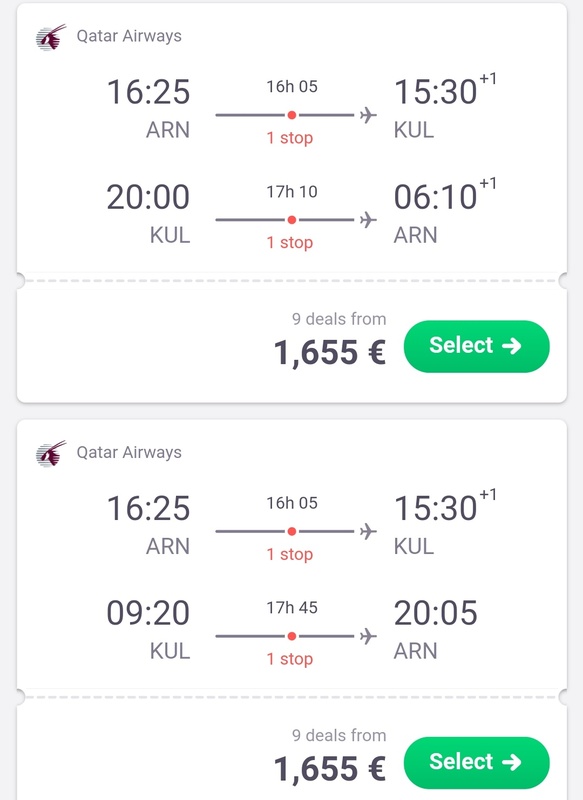 Nice deal with Qatar ex-Stockholm to Kuala Lumpur, Malaysia! 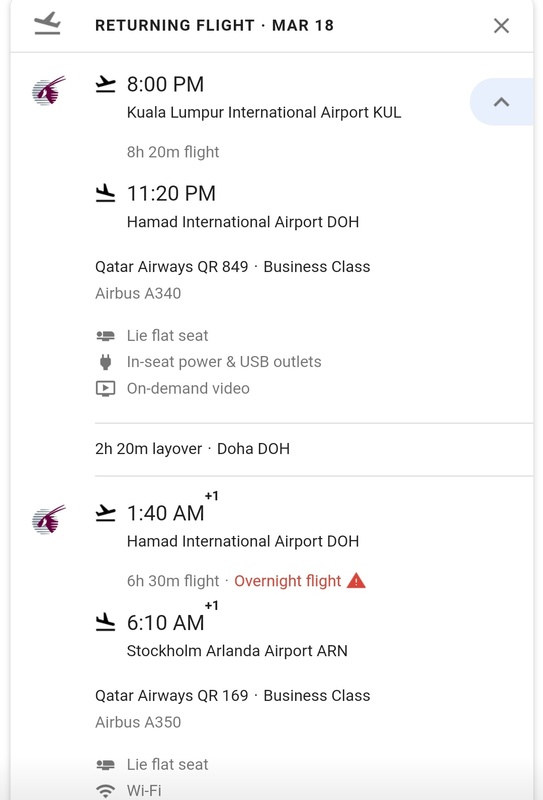 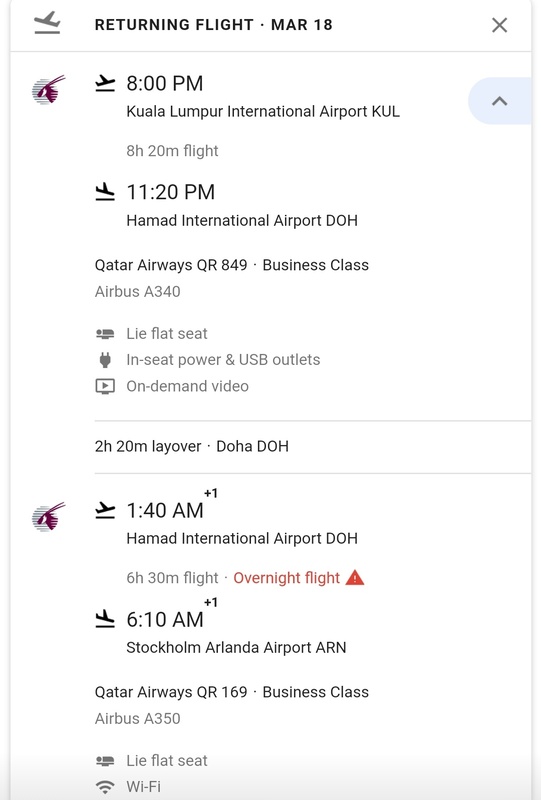 Qatar's flight times are really good and the connections are short in Doha. 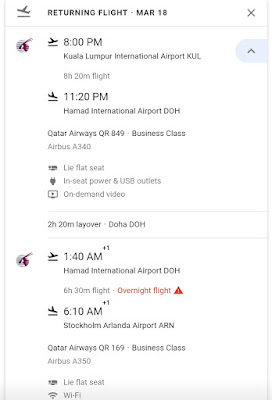 You can have a longer layover if you wish to explore the city by playing with the departure date. 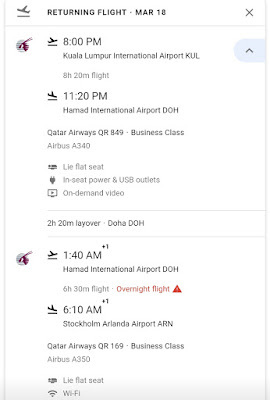 19629 EQMs, 13086 RDMs and 2617 EQDs as a non-Elite member at American Airlines.